It is their love for old stones that got Belgians Viviane and André Vossen interested in Ad Francos Castle which was totally abandoned. Considering to revive this huge castle was a real challenge because everything needed to be redone. Restoring the building and making it a place to live, became their goal, while ensuring the respect for the glorious past of the Castle. The appellation is Côtes de Francs, Bordeaux. Made from Cabernet Sauvignon and Cabernet franc. Stripping, green harvesting, handpicking, double sorting. Fermentation: thermo regulated stainless steel vats. 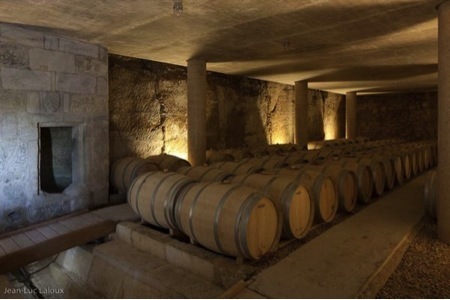 Their consulting oenologist is Michel Rolland. This wine has a production of only 3500 bottles.